JoAnn passed away, Sunday, January 6, 2019 at the Wings Home in Allegan. She was born November 19, 1932 in Detroit the daughter of Arnold and Dorothy (Coleman) Miller. The granddaughter of immigrants, JoAnn was an animal lover and friend to all. She was a member of the VFW Post #3030 Ladies Auxiliary. In 1949 she married Ronald G. Stull and in 1970 she married Robert Fusee. Surviving are her son, Ronald W. (Marisa McNeely) Stull of Pullman; grandchildren, Shannon (Marcel) Anderson of Virginia, Thomas Montgomery, Nicole Stull of Georgia, Christopher (Catherine Carlisle) Stull of Georgia, Alexander McNeely of New York and Anne McNeely of Texas; 6 great-grandchildren; 2 great-great-grandchildren and her best friend, Lee (Nick) Cary. She was preceded in death by her parents; husband; son, Roger Stull and daughter, Vicki Stull. 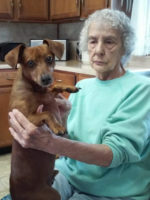 Contributions in memory of JoAnn may be made to the ASPCA or the Humane Society. Dorothy passed away Saturday, December 29, 2018 at Bronson Hospital in Kalamazoo. She was born on January 29, 1929 in Kalamazoo. Dorothy had grown up in Bloomingdale and as a young woman had worked at the canning factory in Fennville and Plainwell. In 1948 she married Merton Miller. Together they enjoyed fishing, camping and spending winters in Florida. After his passing Dorothy enjoyed traveling around Michigan with her daughter and crocheting blankets and embroidering pillows. Dorothy was led to the Lord when she was 15 and her faith continued to grow. 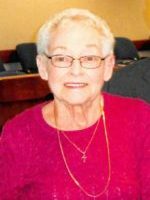 She was an active member of the First Baptist Church of Otsego and enjoyed helping different families in the church, visiting them and encouraging them in the Lord. Surviving are her daughter, Debbie Miller of Plainwell; granddaughter, Sara Fowler of Portage, great-granddaughter, Courtney Brouwer of Portage and her brother, Carl (Peggy) Dostie. She was preceded in death by her parents; husband; son, John Miller and sister, Barbara Thorne. Friends may visit with Dorothy’s family starting at 10:00 A.M., Thursday, January 3, 2019 at the First Baptist Church of Otsego until the time of the funeral service at 11:00 A.M., with Pastor Merlyn Jones officiating. Burial will follow at West Cooper Cemetery. 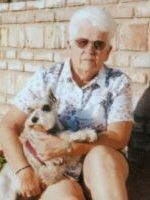 Debi passed away Friday, December 21, 2018 at her home in Otsego. 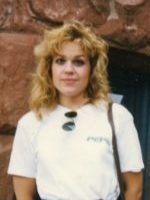 She was born January 9, 1967 in Kalamazoo the daughter of Gary and Sandra (McLaughlin) Zantello. Debi enjoyed cross stitching, reading, especially Stephen King books and collecting angel figurines. Surviving are her sons, Tyler Nowak of Otsego, Matthew (Lyndsey) Nowak of Allegan and Zachary Landrum of Otsego; grandson, Bryce Nowak; her mother, Sandy; sister, Terri (Brad Smith) Zantello of Traverse City and grandmother, Betty McLaughlin. Contributions in memory of Debi may be made to St. Margaret Catholic School. 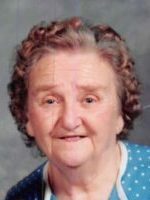 Dorothy passed away Tuesday, December 18, 2018 at Borgess Medical Center in Kalamazoo. She was born June 27, 1935 in Sandusky, Michigan, the daughter of William and Minnie (Monzo) Schultz. Dorothy was a wonderful homemaker and took pride in keeping a beautiful home for her family. She was a two time cancer survivor and enjoyed traveling the United States and spending winters in Arizona. Dorothy also enjoyed growing and selling vegetables from her garden. She had attended the Cooper Congregational Church. On December 15, 1952 in Marlett, Michigan she married Richard Brumm who survives. Also surviving are her children, Sherry Buck of Ludington and Rick (Terri) Brumm of Otsego; 4 grandchildren, Stacy (Brent) Daggett, Lisa (Jason) Lloyd, Matthew (Amanda) Brumm and Chris Brumm along with 4 great-grandchildren. She was preceded in death by her parents and brother, Ralph. 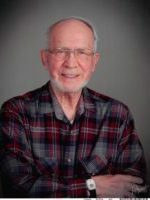 John passed away December 15, 2018 at his home in Plainwell surrounded by his loving family. He was born September 28, 1943 in Montebello, California, the son of Orville and Joeshpine (Hart) Cole. John proudly served his country for in the US Army for seven years and served a full tour in the Vietnam War. For 36 years he had worked at General Motors until his retirement in 2005. John was a kind hearted man who enjoyed traveling the world and taking photographs. He also enjoyed collecting stamps and coins and drinking a cold beer. He was a member of the Otsego VFW Post #3030 and the American Legion. On August 11, 1988 in Las Vegas he married Nancy Herwick who survives. Also surviving are his daughter, Shannon (Lynn Jr.) Carpenter of Dorr; step-daughter, Denise Nelsen of Kalamazoo and step-son, Doug (Carol) Cole of Arizona; 7 grandchildren, Sean, Douglas, Courtney, Trever, Tayler, Trenton and Cassidy; 3 great-grandchildren, Remmie, Lou and Riley; his brother, Ronnie Cole of Kansas and his nephew, Donnie Frost of California. He was preceded in death by his parents, step-mother, Francis Cole and sister, Gail Berg. Friends may visit with John’s family from 3-6 P.M., Saturday, December 22, 2018 at the Otsego VFW Post #3030. Burial of ashes will take place at 1:00 P.M., Monday, December 24, 2018 at Fort Custer National Cemetery in Augusta with Military Honors. In lieu of flowers contributions in memory of John may be made to the Otsego VFW Post #3030. 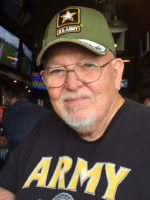 Larry went to be with the Lord on Tuesday, October 30, 2018 at his home in Shelbyville. He was born November 23, 1944 in Kalamazoo the son of Ernie and Nora (Dowell) Guess. Larry proudly served his country in the U.S. Army. He had worked for many years at Plainwell Paper until his retirement in 2000. 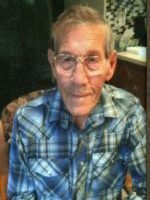 In his spare time he enjoyed spending time with Bubby and Maybelle, fishing, listening to music, attending football and baseball games, spending time outdoors, tending his flowers and mowing his yard. 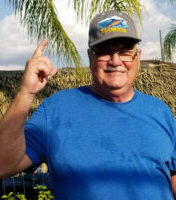 Larry was a member of the American Legion Post 84 in Otsego and had enjoyed spending the last 20 winters in Florida with his wife. On June 9, 1990 he married Myrtle Sparks who survives. Also surviving are his children, Deanna Sonnerville, Laura Witherspoon, Dawn Forsmann, Brian Guess, Kimberly Noble, Matt Noble, Della Hilts, Christina Thompson and Shelly Belka; many grandchildren and great-grandchildren; his siblings, Betty Guess, Ernest, Jerry and Bob Guess; and many nieces and nephews. He was preceded in death by his parents, sister, Shirley Caswell and wife, Cora Guess. Friends may visit with Larry’s family starting at 12:00 P.M., Monday, November 5, 2018 at the Pentecostal Church of Christ in Orangeville, until the time of the funeral service at 1:00 P.M., with Pastor Mike Risner officiating. Military Honors by the American Legion Post 84 of Otsego. Contributions in memory of Larry may be made to Reverence Home Health and Hospice. John passed away Tuesday, September 4, 2018 at Bronson Hospital in Kalamazoo. He was born January 18, 1945 in Chicago the son of Elliott and Virginia (Sims) Jaeger. John proudly served his country in the US Marine Corp in Vietnam in communications from 1967 to 1970. John loved to run. He attended DePaul University with a track and field scholarship and is a member of their Athletic Hall of Fame. He had worked at Pipp Hospital in Plainwell and at the VA Hospital in Battle Creek until his retirement in 2009. He was an accomplished artist and loved to paint and draw. Many of his paintings have been shown locally and he has a piece in this year’s Art Prize in Grand Rapids. John enjoyed following the Chicago sports teams especially the Cubs and also Michigan State University. On November 20, 1992 at the United Methodist Church of Otsego he married Judy (Stoneburner) Hunt who survives. Also surviving are his children, Bill Jaeger of Coldwater, Tim (Ruth) Jaeger of TN, Becky (Ryan) Gottried of NC, Ruth Rozankovich of Kalamazoo and Charlie (Blair) Hunt of Wyoming; grandchildren, Ty, Hannah, Nolan, Micah, Abigail, Roseanne and Reuben; sister, Sue (Cliff) Miller of Ann Arbor and several nieces and nephews. He was preceded in death by his parents and brother, Tom. Friends may meet with John’s family starting at 10:00 A.M., Friday, September 7, 2018, at the United Methodist Church of Otsego until the time of the memorial service at 11:00 A.M., with Pastor Joe Shaler officiating. 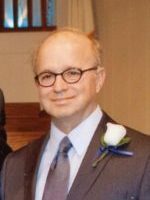 Contributions in memory of John may be made to the American Heart Association or to the United Methodist Church of Otsego.